1. What do you consider the major source of oil shear in an engine? As you know, mechanical shearing occurs at several common locations within an engine and it can differ from engine to engine based on the hardware design, In my opinion, most of the shearing occurs in the valve train and the timing chain/gears. Even with this somewhat definitive answer, the answer would also vary for example from a single overhead cam engine with roller followers compared to a vee-block engine with four cams and variable valve actuation. Of course, the piston rings spreading oil into the honing marks can contribute to shear. The oil pump and distributor gear (if equipped) could contribute to shear and the list goes on. 2. Does the length of timing chain have any relevancy to shearing of oil? Intriguing question but I would think the answer is no if you are asking about a straight swap. The crankshaft and cam(s) would rotate at the same relative speeds regardless of the chain length and thus the mechanical friction would be similar. However, you could argue that a longer chain would have an additional tensioner or perhaps an idler that would cause more shearing and you could also argue that more links in the chain have more rollers and pivot points that would directionally shear more oil. 3. Do twin cams vs Sohc and contribute to more shear? Be it one cam or four cams, they would all spin at the same relative speed so think about it as one shear machine versus multiple. More sprockets mean more chances for shear. More cam lobes mean more chances for shear. 4. As fuel economy standards increase, resulting in the push toward lower viscosities (thinner oil films), and greater use of Direct Injection with particulate generation problems, what motor oil formulation changes will allow for lowering wear & friction in cams, lobes, and timing chain pins? As in, for GF-6 and dexos-2016. If I may, please let me answer this in pieces. Formulators of course watch volatility more and more closely as the viscosity gets lower. They need to watch NOACK volatility results. They need to understand how the volatility of the base oils and the volatility of additives contribute to component durability and they also need to be aware of oil consumption. You are all aware of anti-wear additives that work to protect metal surfaces by creating a sacrificial chemical coating on the metal and you also know that friction modifiers work to make the oil more slippery by attaching to the metal surface to influence the static and/or dynamic friction. Now consider the possibility that an engine manufacturer employs a coating like DLC or switches to anodized hardware. Different additives may be competing for the same metal surface or may need to be modified if the traditional metallurgy has changed. Just as those hardware changes will influence the evolution of the engine, our formulators must push the oil formulations to evolve. Similarly, variable valve actuators may need both wear protection and friction modifiers to operate properly and operate fast enough to respond to the immediate demands of the PCM or else a trouble code could be set. Finally, particulates need to be properly dispersed so they will not block delicate clearances or passageways, so they do not thicken the overall viscosity and so they can be properly filtered out in the filter before causing abrasive wear. 5. Has Pennzoil done ASTM WK49675 or similar testing with an older ASTM timing chain wear standard on Pennzoil motor oils? IF so, can you share the results of those tests? The ASTM WK49675 test is still under industry development. Hence, we do not have any official data to share. 6. Can you share the results of the valve train wear tests the Pennzoil motor oils have been subjected to? For the Sequence IVA test, our Pennzoil Platinum products result in less than 20 µm, which means that according to the industry precision data for that test our result is unsurpassed. 7. How much can motor oil really affect the wear on the valve train? Timing chain? a. In the valve train between the cam lobe and its follower, the valve spring can push those two pieces together so hard and on such a small area of contact that the local pressures could calculate to 200,000 psi. This is enough to squeeze the oil (conventional or synthetic) out of the way. So oil formulators typically use wear protection additives that form a sacrificial chemical coating on the cam lobes and followers that can withstand those extreme pressures. b. In variable valve train actuators, detergents and dispersants must keep the actuators clean – the tolerances here are extremely tight and the actuators must precisely alter the cam phasing upon demand from the ECM. Friction modifiers are used to help keep the internal components of the actuators moving freely without stick-slip. To reduce air entrainment in the oil and to ensure the right viscosity at the right temperature, oil formulators carefully select quality base stocks and incorporate anti-foaming or air release additives. c.	For timing chains, in addition to the need for correct wear protection additives and friction modifiers, the oil formulators also watch the dispersants in the oil quite closely. The fear is that without a suitable dispersant, soot and carbon in the oil could collect inside the pins of the chain and create wear or limit movement that would result in the chain’s effective length changing. If the chain’s effective length changes even slightly, it can be sensed by the ECM and create problems. 8. On your website, there is an oil selector page http://lubematch.pennzoil.com/recommenda…8&brand=121 You don’t yet show a recommendation for my vehicle, a 2016 Subaru Forester 2.5i Limited with the normally-aspirated FB25 engine. Likely because this model year of the vehicle has only recently gone on sale. However, for the MY 2015 version of my vehicle with the same engine, this oil selector page generates only one recommendation, the Pennzoil Platinum 0w-20. Notably, the Pennzoil Platinum Ultra 0w-20 is NOT shown as a recommendation. Is this an oversight, or is there something in or not in the Ultra that makes its use not suitable for the FB25 engine? The 2016 Subaru Forester 2.5i owner’s manual states “0W-20 synthetic oil is the required oil for optimum engine performance and protection. 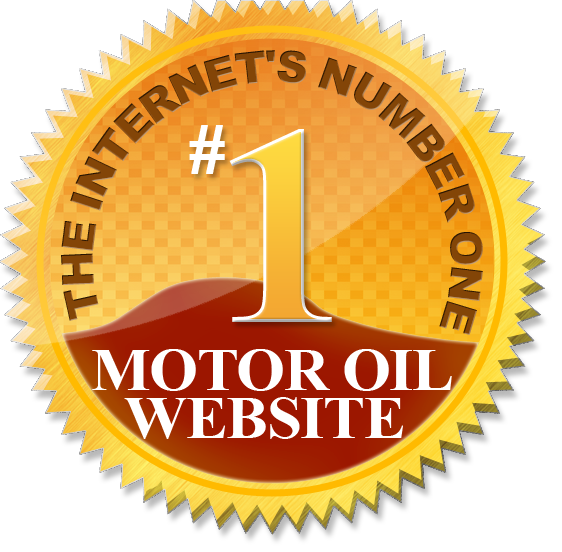 Conventional oil may be used if synthetic oil is unavailable. If 0W-20 synthetic oil is not available, 5W-30 or 5W-40 conventional oil may be used if replenishment is needed but should be changed to 0W-20 synthetic oil at the next oil change”. Our Pennzoil Platinum and Pennzoil Ultra Platinum 0W-20 meets Subaru motor oil requirements. I will pass along the concern about the listing in the website to the appropriate people. Thanks for catching that. 9. From your research regarding valve train and timing chain wear, has synthetic oil been proven to provide better wear protection vs. using conventional oil in the same application? I view it as a total package. It is possible to use synthetic base stocks and yet make a poor oil when it comes to wear protection. But the formulators here at Pennzoil use quality base stocks along with the right wear protection packages and other additives to yield final synthetic formulations that perform great in the industry standard wear test, they perform great in the Chrysler SRTs and our formulators can also make oils that perform great in race engines. 10. How has motor oil technology changed to adapt to advances in newer valve train/timing chains? Though you could argue that additives and base oils have been around for decades, this is an industry that keeps innovating for new chemistry, for new ways to rebalance existing additives and base oils, and for new ways to accommodate new hardware or new industry regulations. One example is the “zinc” wear protection additive. Some could argue the basic molecules have existed for decades. Others with performance, custom engines would want to know how much additive is needed for their engine versus a newer stock engine with roller followers. Yet others could argue that low volatility wear protection additives are an interesting tweak on the historic molecules to help prevent the additive from evaporating and turning into ash.